The workers and volunteers of the Omaha Open Door Mission are hard at work preparing for Thanksgiving and Christmas this holiday season. Volunteers on November 24 worked throughout the day to bag lunches and clean the Mission’s kitchen in preparation for the organization’s Thanksgiving meal. Volunteer groups from Bellevue University basketball and UNO were busy all afternoon. About 120 volunteers from every walk of life will assist with the meal on Thanksgiving. Chris Morris, Open Door Mission’s Volunteer and Partner Director, said the organization is also working hard to collect toys for area children. She said the Mission hopes to collect, bag and distribute over six thousand toys before December 18. The Open Door Mission is having trouble collecting enough toys this season. Those interested in donating toys should check out the organization’s Web site. The video below includes a brief description of what toys are needed most. Watch on YouTube for HD Quality. 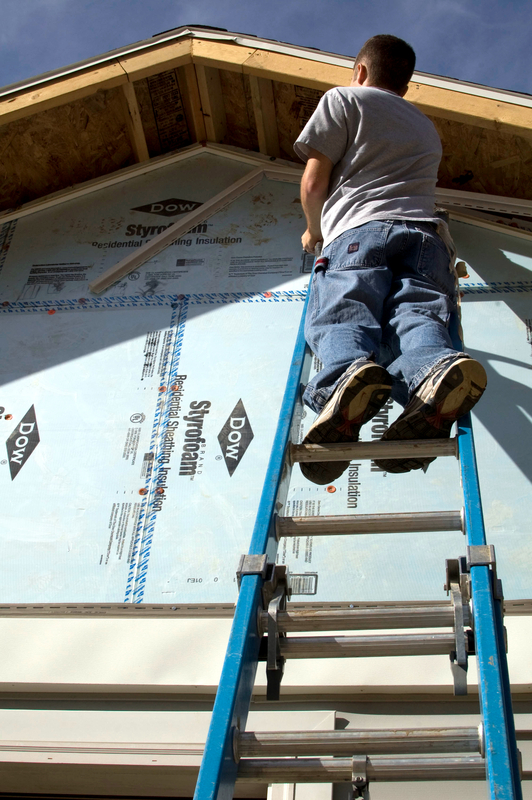 The UNO chapter of Habitat for Humanity met for a work day Saturday, October 30 to help build several houses at an Omaha work site. Several students showed up for the event and helped with multiple projects on one of the site houses. 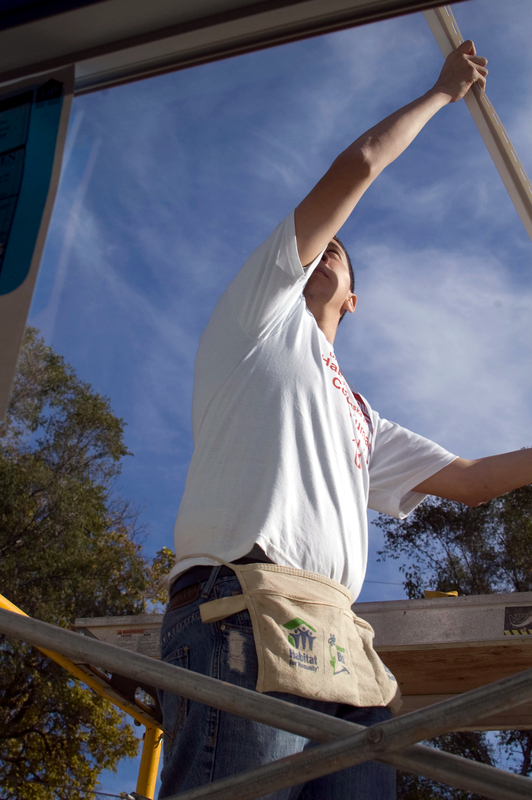 Volunteers started their day at the Habitat for Humanity of Omaha building and then proceeded to the work site. Many students carpooled due to limited parking space at the build site. Other work groups were present at the site throughout the morning, including some volunteers from Americorps. 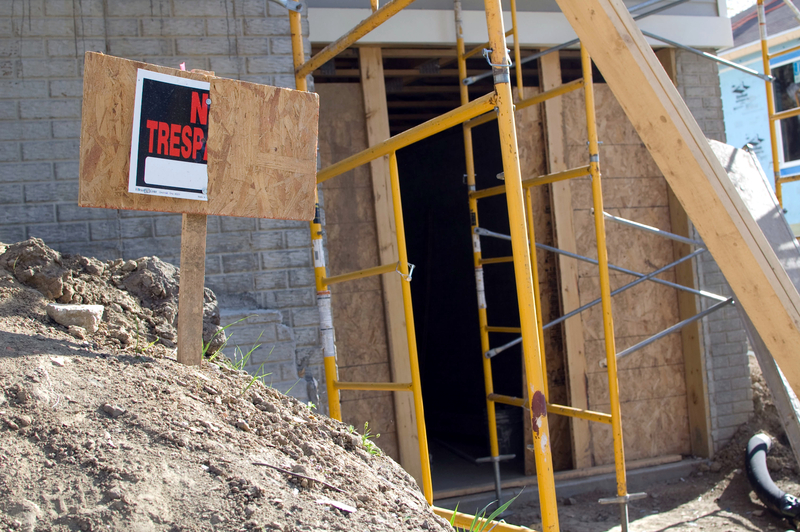 UNO students mainly assisted with one house that was assigned to the group. Leaders knowledgeable in specific trades helped work groups accomplish their tasks in a professional manner. 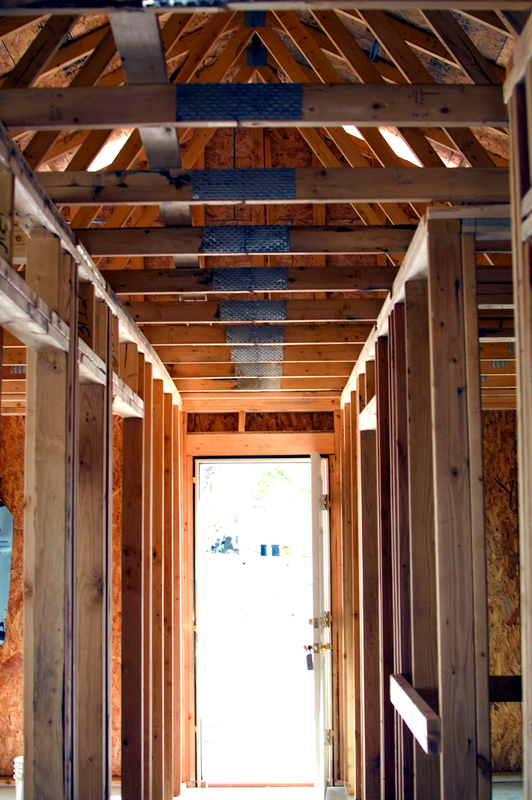 The UNO chapter of Habitat for Humanity was created several months ago by students at the university. 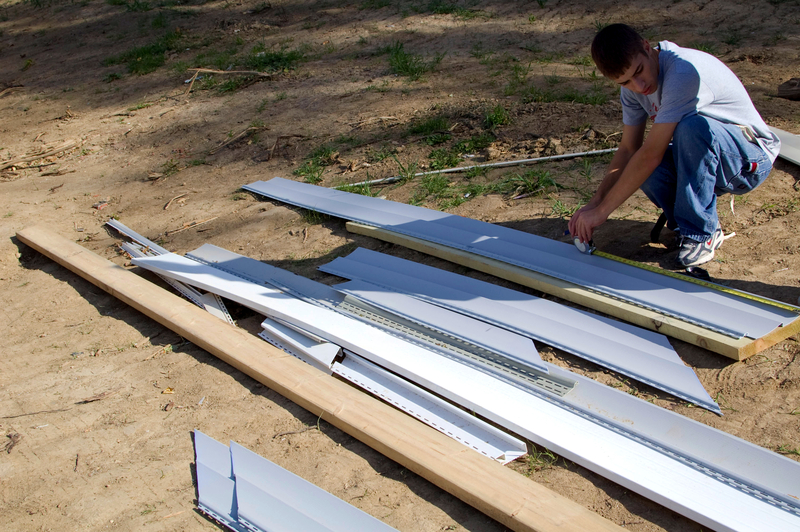 The students hope to create a large Habitat event during this upcoming spring break. 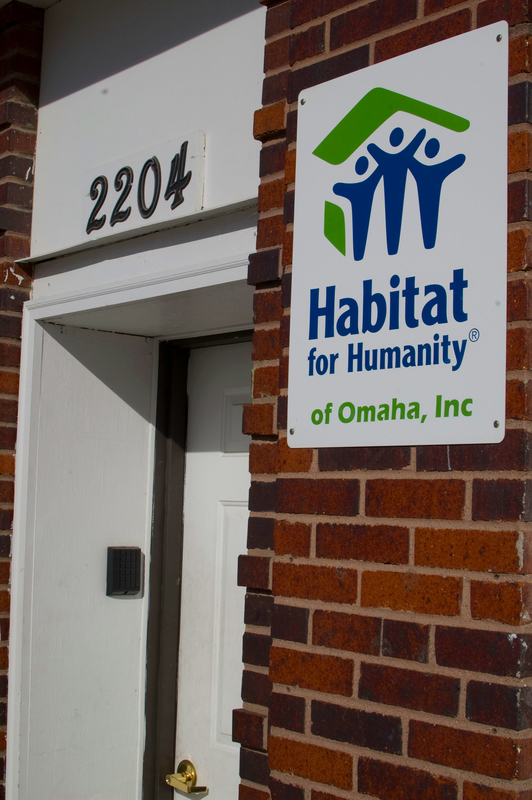 Habitat for Humanity of Omaha's front door displays the organization's address and logo. Students parked along the side of the building before carpooling to work sites. Morgan Miller, a UNO student, looks up at her peers as they climb down the side of a house. Some students worked on a porch on the front of the house while others worked on the back. Matt Clark and Anna Berlett stand on scaffolding outside of the project house. Students worked on ladders and scaffolding throughout the day. 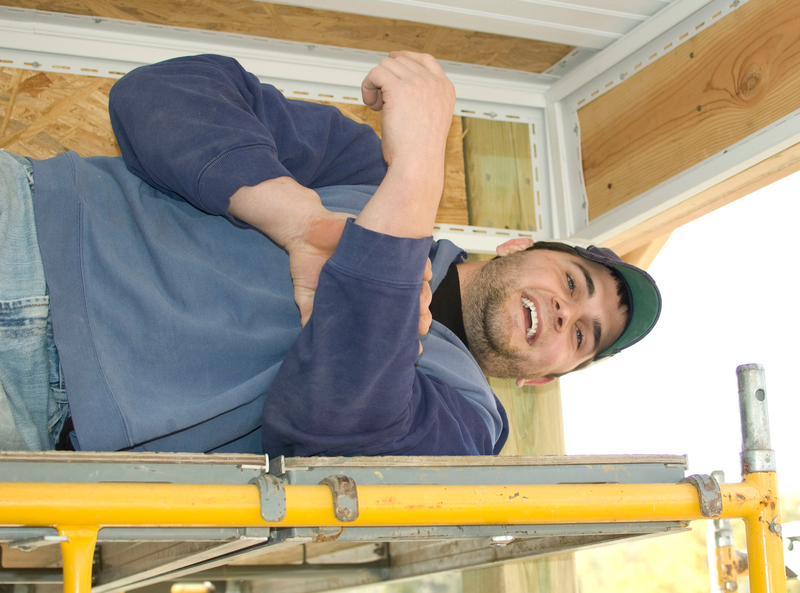 Mark Vargas reaches up to adjust some siding. 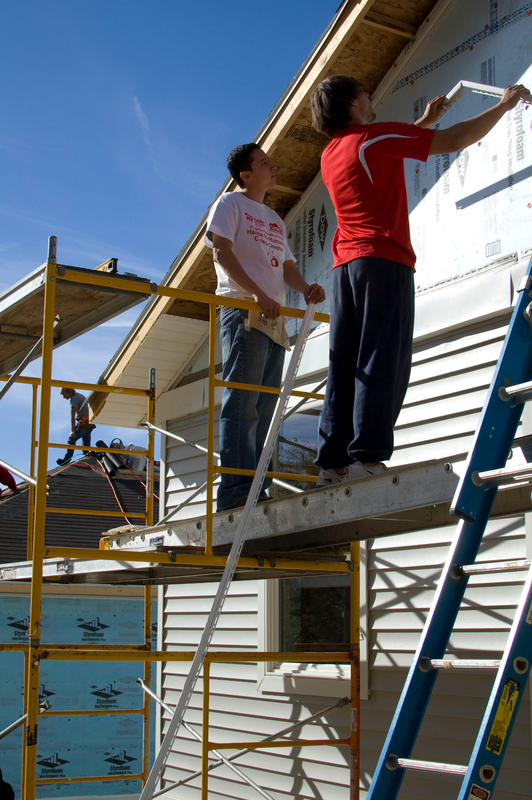 Students working on the back of the house were fitting siding along the side of the structure. Ryan Santin discusses what to do next while looking at the situation. 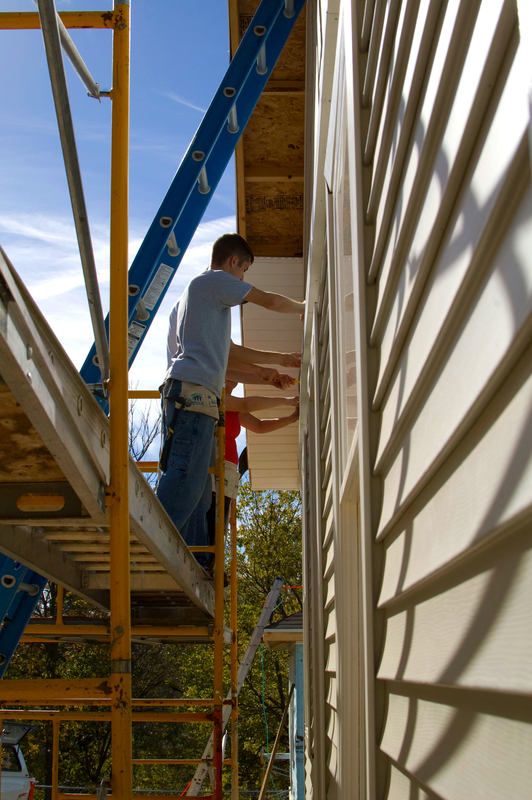 Students at the front of the house attempted to affix siding to the top of the porch area. 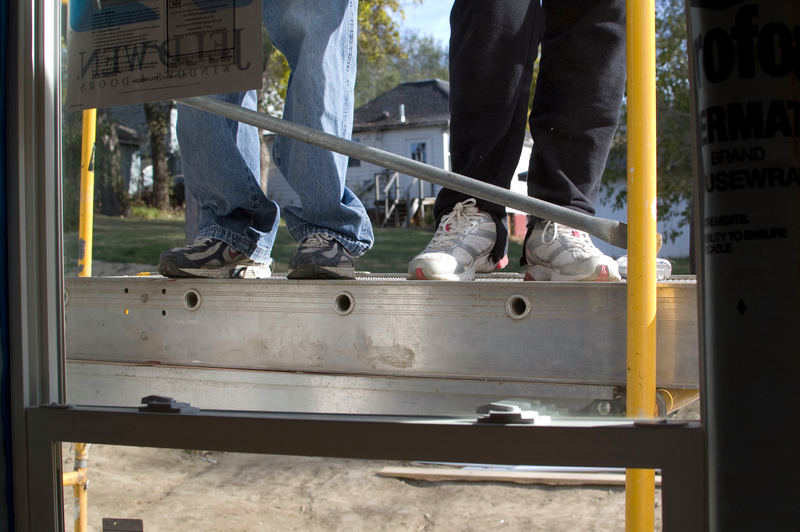 Framework stands idle while volunteers work on the outside of the house. Different parts of the structure were tackled at different times by different groups. One of many tools used by the volunteers demonstrates the different jobs available to students. 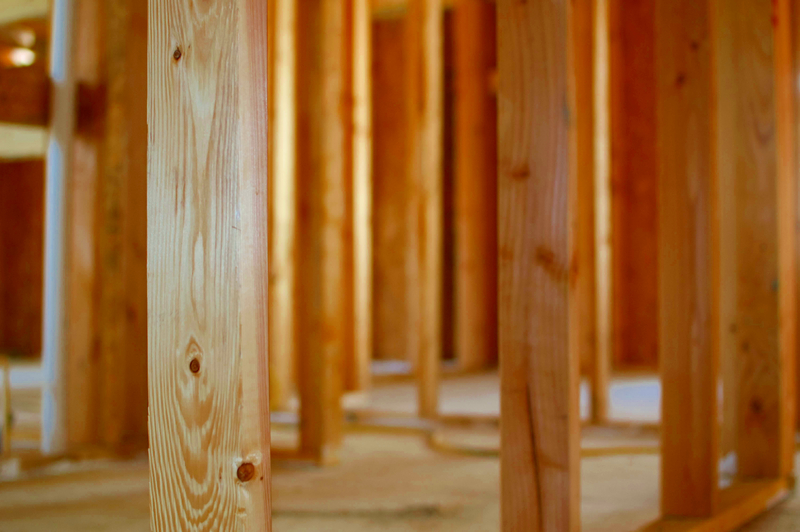 Volunteers used many simple tools to collectively create something valuable. Matt Clark measures siding to fit on the back side of the house. 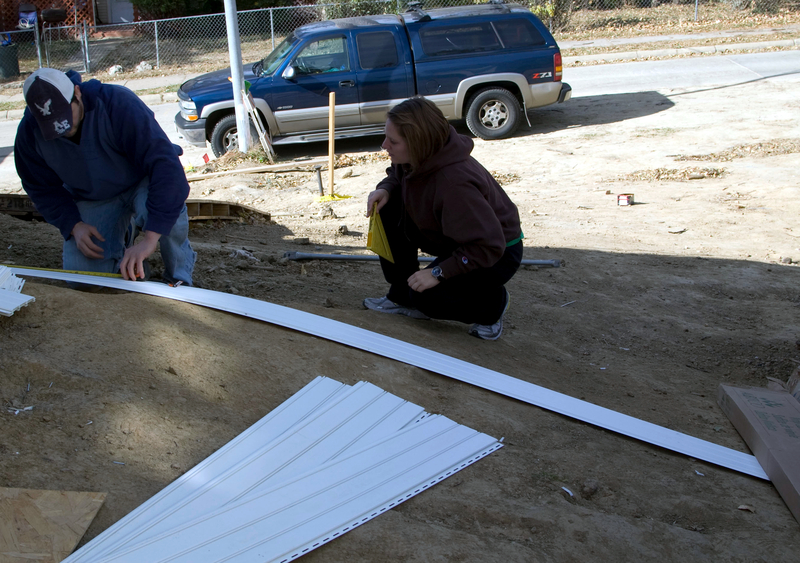 Volunteers largely worked independently on the project. 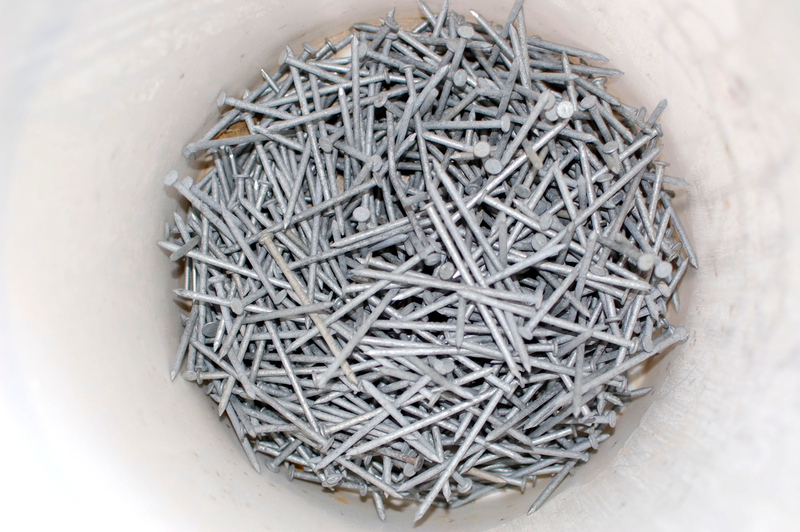 Nails wait for another chance to be of service. 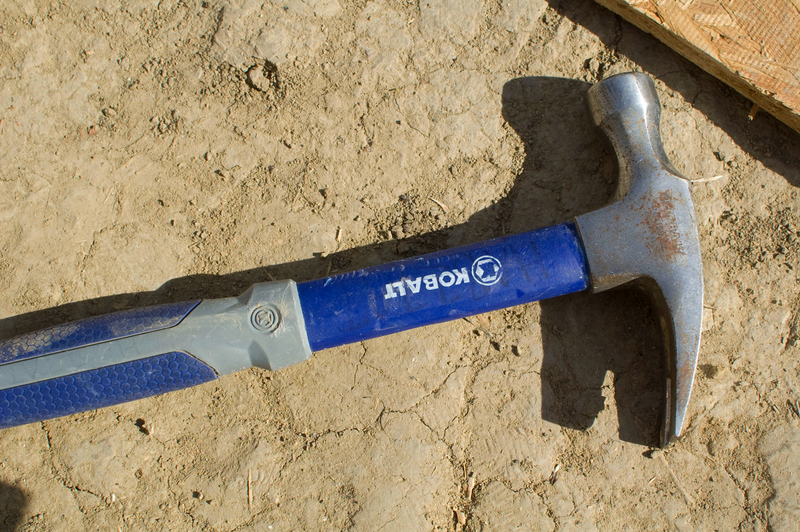 Volunteers were instructed on the proper use of certain tools at the site. Caroline Gillan nails siding to the project house. Students were still deciding on the best way to tackle the porch area. Ryan Santin and Morgan Miller line up siding before cutting measured segments. 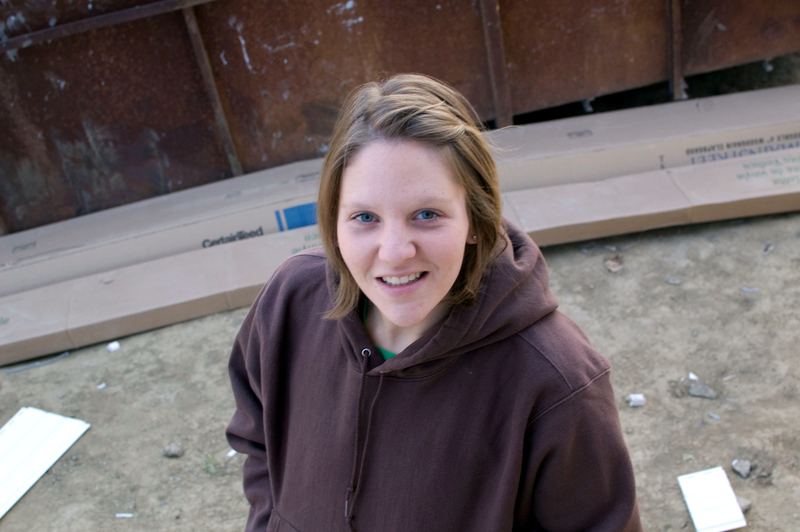 Melissa White, another student volunteer, said many volunteers learned about UNO Habitat for Humanity through another event, Three Days of Service. 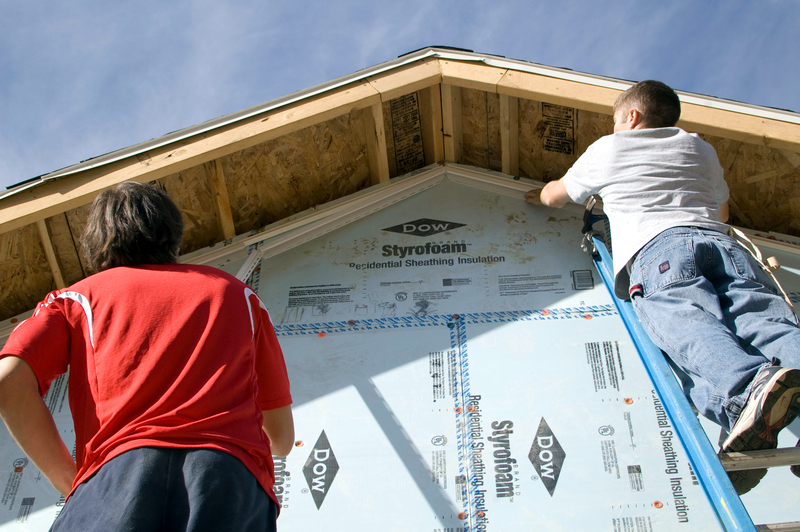 Mark Vargas and Allen Dugan bend materials to help attach siding to the house. Students had to be creative with some of the house's angles. 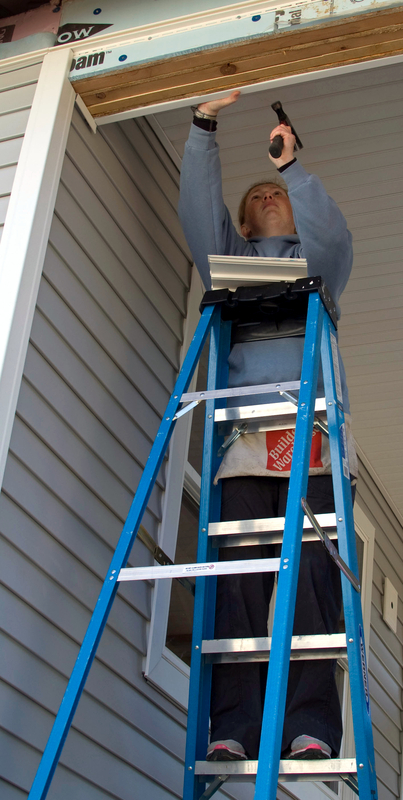 Matt Clark tries out the new angled segment while on top of an extended ladder. Students had to exercise caution while climbing around the work site. Allen Dugan and Matt Clark continue to adjust the angled piece. Teamwork was key throughout the project. Ryan Santin and Morgan Miller talk with one of the site managers. Students always had someone to ask if they needed any assistance on the job. A damaged sign guards the front of the project. The scaffolding in the background allowed volunteers to move freely about the area. The doors stand open to allow air circulation throughout the unit. Volunteers from other groups helped with the inside of the structure. 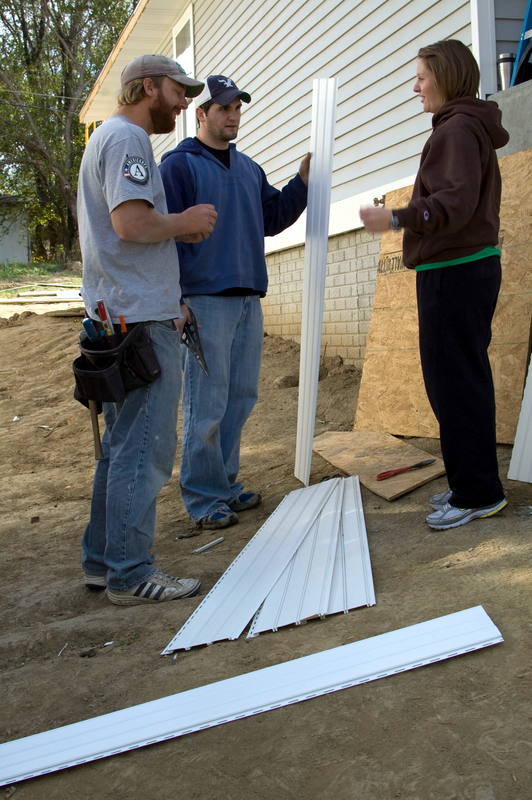 Matt Clark, Allen Dugan and Anna Berlett work on a lower section of siding. Passerby had to be wary if navigating the side of the house. 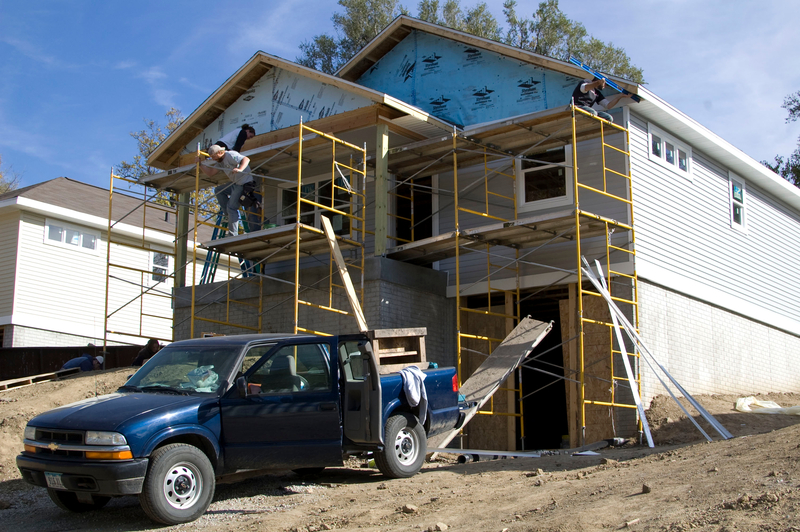 Volunteers work on various parts of the house while a truck sits in the future entrance. Parking was tight around the project houses. Americorps volunteers leave the site. Different groups assisted with different houses in the area. All photos taken and processed by Mitchell Warren. Project team members sit outside the UNO Collaboration Center. 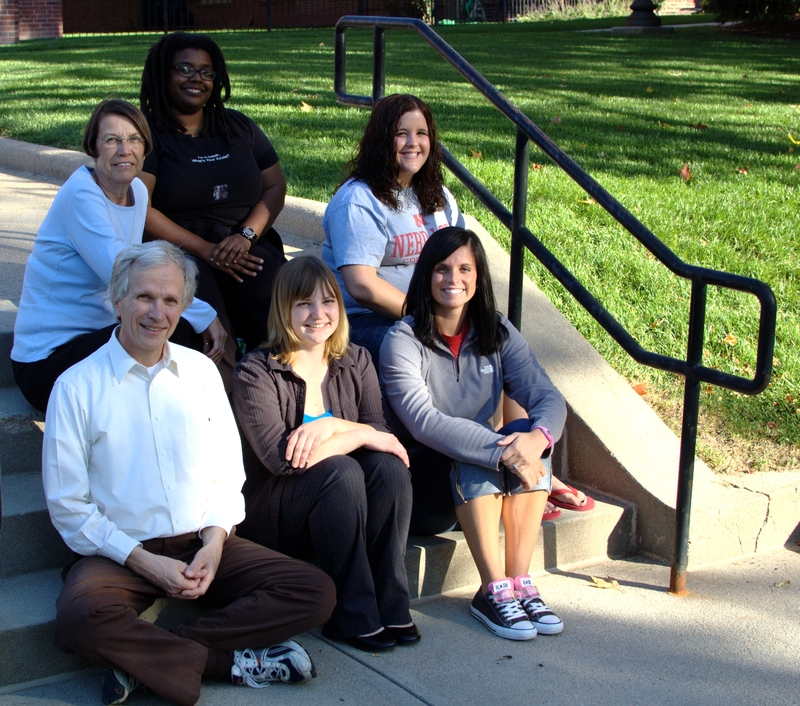 From back left: Janet Voelker, Nya Taylor, Katy Clarke, David DenBeste, Sierra Pirigyi and Kourtney Rahder. Situated in the bustling UNO Collaboration Center, a small group of dedicated individuals work on a project they hope will create greater understanding and cooperation amidst an increasingly diverse urban landscape. The Omaha-based group, Project Interfaith, aims to promote diversity through an extensive video mosaic. The project will showcase community members from different religious and spiritual backgrounds responding to several simple yet revealing questions. Once completed, viewers of the community mosaic can experience alternate viewpoints to their own spiritual realities. “The project is about getting people’s stories while showing Omaha’s diversity,” said Sierra Pirigyi, a Project Interfaith intern who helped develop and make the mosaic project a reality. Experience with an earlier project helped spur the creation of a video mosaic concept. The earlier project, the Interfaith Youth Service Project, used video diaries of student volunteers to highlight their experiences. Pirigyi described some of the recorded moments as “really a powerful thing” and considers the project as “the catalyst” to the mosaic project. The project split teams of interviewers into groups that will target 17 different religious and belief systems around Omaha. Anyone is invited to participate in the project and can attend interview sessions held at the UNO Collaboration Center. One such session was held on October 7 and two more sessions will be held later this fall. Interviewers were given basic training on how to interview before the project began. “They talked to us about how to encourage people to tell their story,” Rahder said. This training helped Project Interfaith’s members develop questions that would get subjects talking. Project Interfaith operates to provide educational opportunities and create a space where people are respected, said Ryan Strawhecker, Project Interfaith’s communications and development director. “A big part of that is getting people to interact and learn about each other,” he said. The community mosaic is just one way Project Interfaith attempts to execute its mission. Strawhecker explained the different programs the nonprofit organization has to offer. In addition to the mosaic project, which falls into their topical category, Project Interfaith focuses on spiritual diversity training, arts programs and speakers. Project Interfaith plans to upload the completed mosaic to their Web site. Strawhecker hopes this will increase traffic to their own platform and help spread the word about Project Interfaith. “We’ve already received interest from people in other countries,” he said. The community mosaic video project should be completed before next spring. Project Interfaith hopes to debut the completed project sometime next April. This site will be your premier stop for learning about Omaha’s nonprofit organizations. I hope to profile different organizations throughout the semester, so check back often! I have already started asking around to find organizations to start profiling. Please sit back an enjoy the (bumpy) ride that is Not 4 Profit! I have found Twitter to be a realm of extremes. Lumping users into distinct groups is nearly impossible because each user truly is unique. However, for the sake of looking at the big picture, I am going to attempt to establish some form of hierarchy. 1. The stay-at-home mom: No, you do not have to be a mother to be placed in this category. This group is for anyone who mainly Tweets about their day-to-day life. Users of this caliber take a Facebook mentality and throw it straight into Twitter’s framework. What a user had for breakfast or when they took the dog for a walk is really what makes the world go ’round. 2. The business tycoon: Twitter users in this category Tweet from the other extreme. Tycoons focus only on their business model, and their Tweets reflect this philosophy. Rigid and barren, business tycoon pages focus on fast news, special offers, and member exclusive opportunities. 3. The down-to-earth guy: This category fulfills a happy medium. Users in this category combine their private and public lives, while remaining professional. They still make their business information available, but do it more subtlety than a business tycoon. Personal comments and input create a sense of friendship and accountability. Obviously, not every user will fit into one of these categories. These are simply some of the most common types of users I have encountered so far. It is also important to note that not all users should be considered active. I look at an active user as a person that posts often and consistently. An inactive user may have little direction and probably does not view Twitter as a tool. Almost anyone reading this can easily discern which category will lead to the most professional success. The down-to-earth guys are the clear winners because they have established a means to get their information out while remaining personable. This is the type of user that I will strive to become. While it is easy to pick a winner from the aforementioned categories, it is much harder to actually achieve the status of down-to-earth guy. One must create a balance of both aspects in order to be successful.